While not all of us are in Paris for the many design events this week, we can take a vicarious visit to one of the city’s most acclaimed destinations in this beautiful new book. 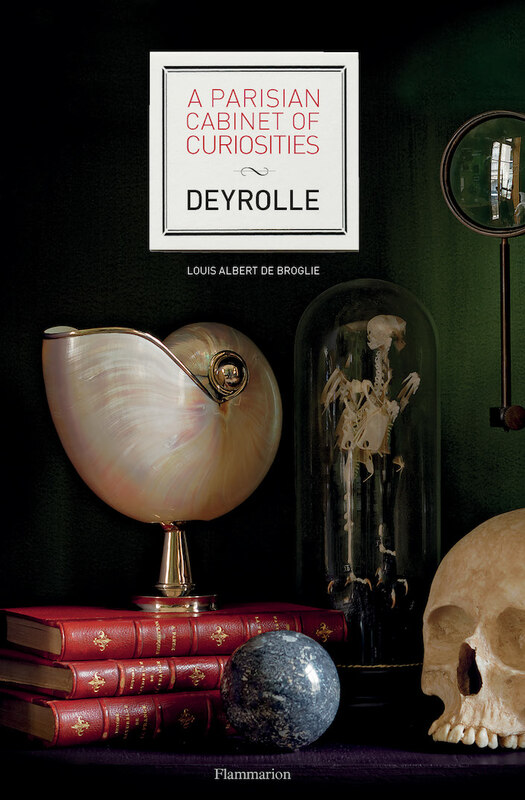 In the same charming slipcased format as A Day at Château Vaux-le-Vicomte and Fontainbleau, this fascinating volume tells both the 185 year old history of Deyrolle as well as the inner workings and future legacy. 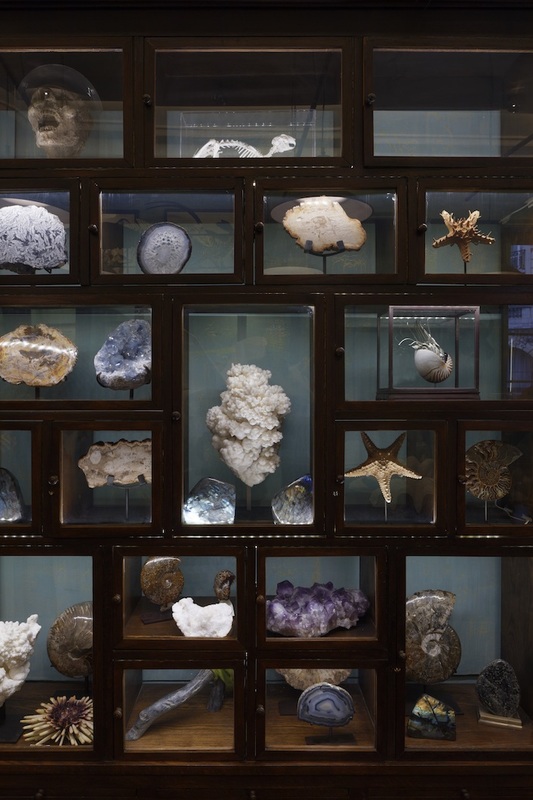 Showcasing the beauty of nature in all its forms, taxidermy (almost all of whom have died from old age or sickness) lives with shells, crustaceans, fossils and minerals. 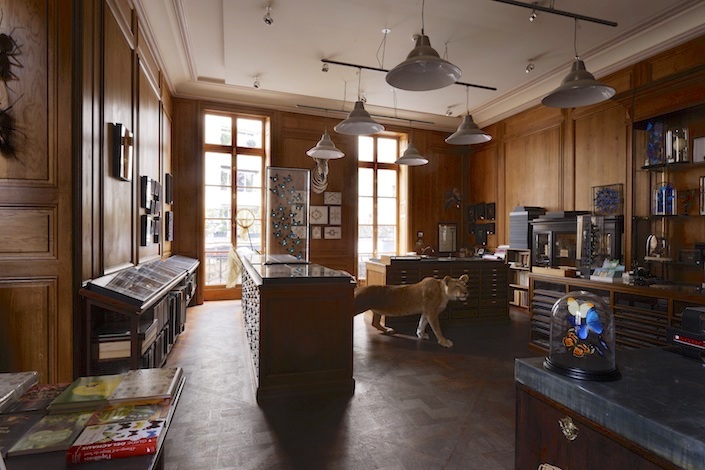 Here nature unites everything and everyone, as in the entomology room, below, where a lioness welcomes visitors. 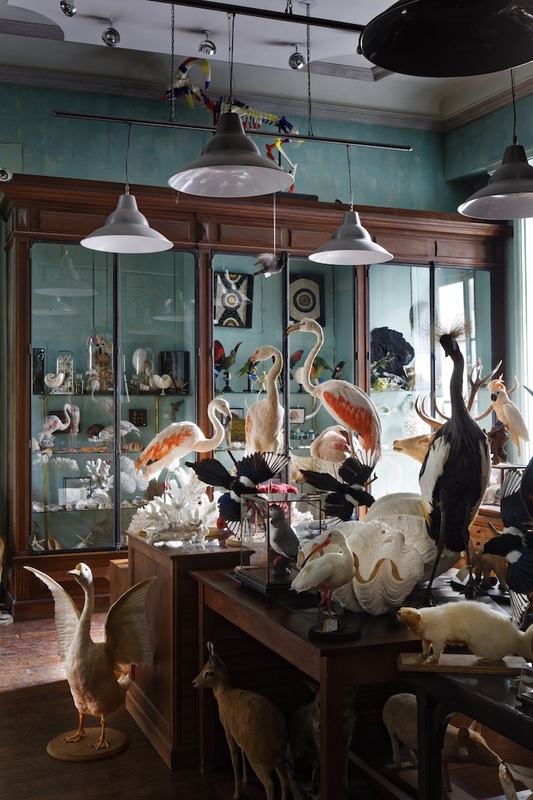 to an enfilade of a magical menagerie sparks curiosity, questions and dreams. 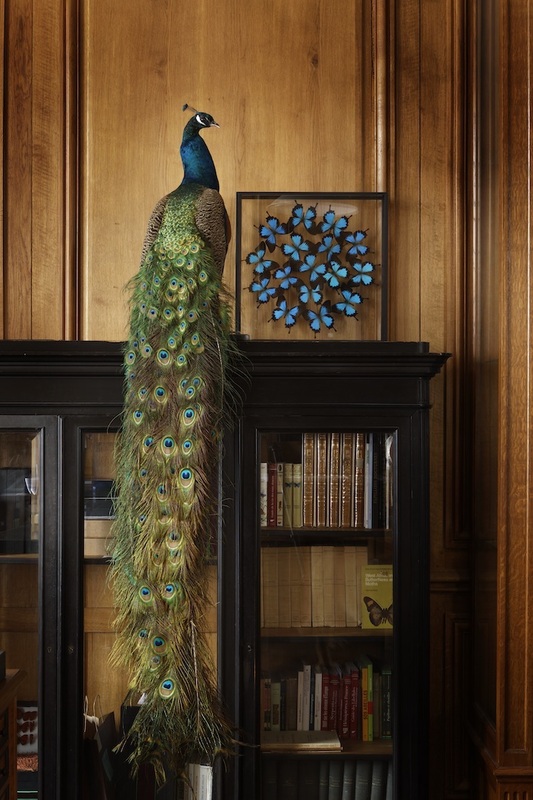 You may remember Prince Louis de Broglie, with his brother, is also the owner of Chateau de la Bourdaisiere, which they beautifully renovated as a hotel and experiment in sustainable agriculture. 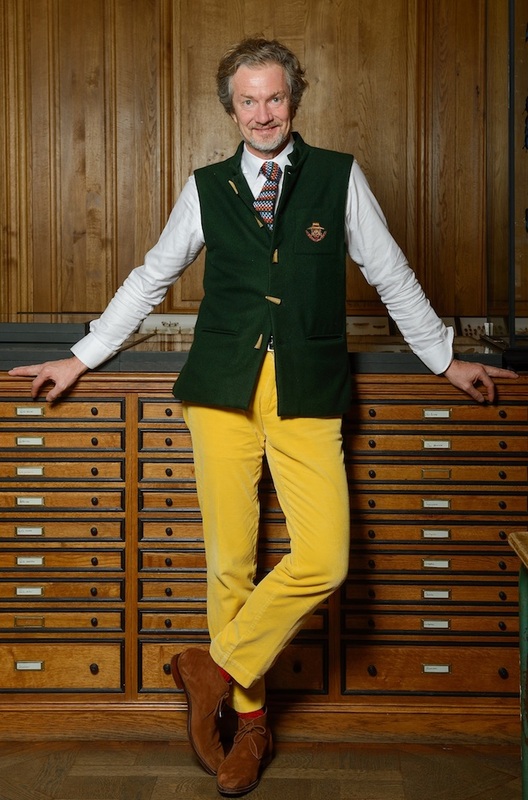 Here his passion for nature thrives with everything from a Louis Benech designed dahlia garden to a walled garden with over 650 kinds of heirloom tomatoes, which in turn inspired his collection of elegant garden tools and accessories, le Prince Jardinier, also sold at the charming Palais Furst in the heart of St. Germain, and this week, Paris Deco Off. This entry posted in art, books, design, interior design, travel. Entry Tags: cabinet of curiosities, Deyrolle, museum shops, natural history, Paris, Paris shopping Bookmark the permalink. Wow, what an amazing place to find the most unique treasures! It is really an institution in Paris. I haven’t been since before the fire; glad to see it is in such good form. It’s like being inside a Wes Anderson movie. Took my seven year old, he picked out a stunning moth – we look at everyday. 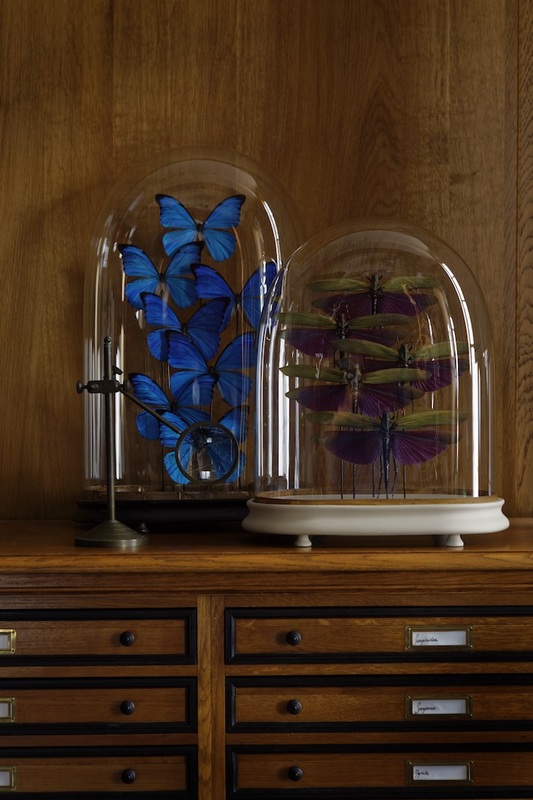 I’m dying for one of those butterfly cloches! 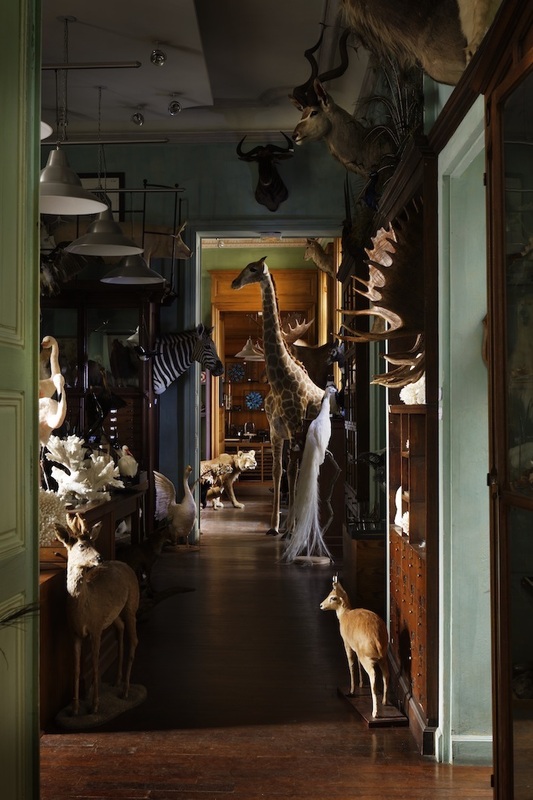 We visited the original Deyrolle Cabinet years ago and were enchanted. As if visiting another time and place. 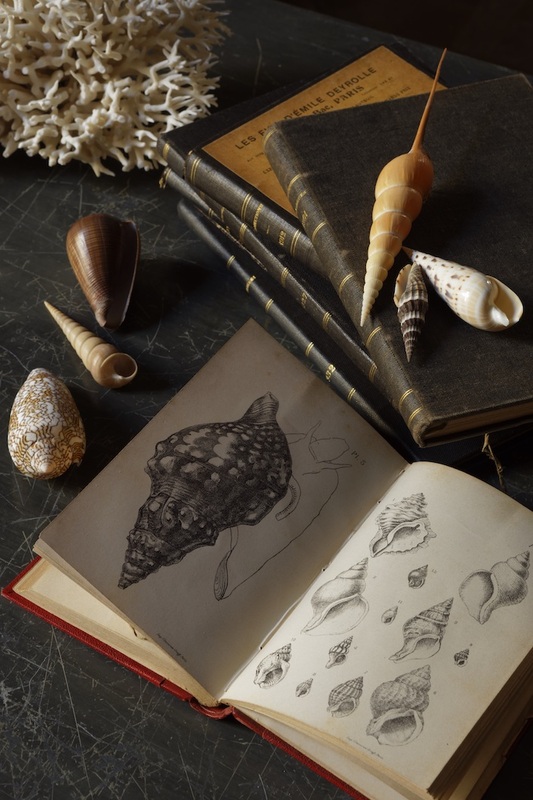 Last night I watched Wonderstruck, also about a cabinet of curiosities, time travel, and a profound appreciation of the natural world. Beautiful acting by some gifted children and Julianne Moore. Worth a look. Thank you, as always, Stacey, for cueing us in to pathways of beauty. 80 queries in 0.447 seconds.